You roll it, you lug it, you save! Roll your rug up and bring it into Russell Martin's Showroom to be cleaned at our rug cleaning plant. lUG YOUR RUG & SAVE 30%! "You roll it, you load it, you deliver it, you save! 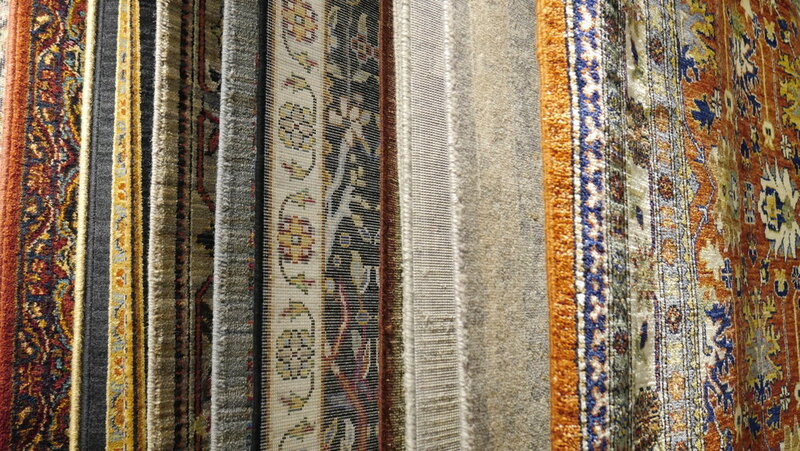 Roll your rug up and bring it into Russell Martin's showroom to be cleaned at our rug cleaning plant." Pick-up and delivery available starting at $50.00. Area rug rolling and laying. Non-slip pad custom cut to fit your rug from $1.00 - $1.50 per sq. foot. Non-skid area rug rubber backing custom cut and glued to your rug for $3.50 per sq. foot. You have questions we have answers. Check our FAQ page for more info.